Data privacy is a matter of trust, and your trust is important to us. We respect your sphere of privacy and personality. Therefore, the protection and legally conformable assessment, processing and use of your personal data are a priority for us. To ensure your safety and wellbeing when visiting our websites, we strictly observe all legal regulations concerning data protection when assessing, processing and using your personal information. Furthermore, we would now like to inform you about our data assessment and use. The responsible body for the assessment, processing and use of your personal data within the context of using the services offered by www.up2europe.com within the meaning of the Franch law of Data Protection is Up2Europe, 7 rue Augustin Fabre, 13006 Marseille, France. Personal data are statements concerning factual or personal circumstances of a specific or determinable natural person. These include, for example, your name, your address as well all inventory data you supply us during your registration and profile creation. Statistical data, which are, for example, collected during your visit to our website, but cannot be directly attributed to your person, are not included in personal data. When visiting our website, our servers temporarily store each access in a log file. Following data is recorded without your additional input and stored by us until the automated deletion: the IP address of the querying computer, date and time of the access, name and URL of the accessed file, the website from which the access took place, the operating system of your computer and the browser used as well as other technical data, the name of your internet access provider, your language settings and geographical origin. The purpose of the collection and processing of this data is allowing the use of our website (establishing a connection), ensuring a lasting system security and stability, enabling the technical administration of the net infrastructure and the optimization of our internet range, and making internal statistic recordings. The IP address is only analysed in case of an offence against the Up2Europe net infrastructure and for statistical purposes. The entry of personal data for the creation and completion of your profile on Up2Europe is done on a voluntary basis. However, the truthful entry of certain data is crucial. This includes the following: a user name, a password, your name and, if applicable, the name of your company, your complete address, e-mail address. This data is necessary for the development and administration of Up2Europe, for checking the entered data for plausibility, for checking the user for his legal capacity, i.e. for his capacity of establishment of a contract, of content-related elaboration, execution and modification of the contractual relationship in the course of use of Up2Europe and for eventual inquiries. Furthermore, this data is essential for the elaboration of contents of the service contracts concluded via Up2Europe. During the use of Up2Europe by registered users, we record certain data for statistical purposes, to ensure the smooth efficiency of Up2Europe, to eliminate malfunctions, for the better understanding of user requirements and the subsequent product optimisation and personalisation, and also to display this to other users. This data includes, in particular, ideas bids / postings entered by yourselves, if applicable payment information and all correspondence via Up2Europe with other users or ourselves. Furthermore data concerning your membership to Up2Europe, including, if applicable, electronic copies of certificates recorded in your profile as well as invoices are saved. Accesses are logged and evaluated. The e-mail address is especially used to send e-mails regarding the idea status and similar information. In case of a specific consent, the e-mail address is also used to inform the user via e-mail about Up2Europe, current promotions or to request the participation in surveys for market research or quality management purposes. If you choose to pay for anything online at https://up2europe.com using a Credit or Debit Card, your card details are not stored by us and cannot be used by our staff. Your credit card details are encrypted and securely stored by PayPal or Stripe. When we have your consent. This includes sharing information with other services (like Facebook or Twitter) when you’ve chosen to link to your Up2Europe account to those services or publish your activity on Up2Europe to them. For example, you can choose to publish your posts to Facebook or Twitter. It also includes sharing information with partner organizations that use our platforms to host their own Call for Proposals when you've agreed to sharing your information. Beyond that, we only pass on your personal information in case of a legal requirement, for a credit assessment, an address check, to transfer information to a credit reference agency (for example in case of a termination due to arrears) and insofar as it is necessary for us to enforce our rights, and especially our contractual claims. We use suitable technical and organisational security measures in order to protect your data, which has been stored by ourselves, from manipulation, partial or complete loss and unauthorized access by third parties. Our security measures are constantly improved correspondent to the technological developments. Cookies are small files which are stored on your data storage device and save certain settings and data to communicate with our system over your browser. Basically one distinguishes two kinds of cookies; so-called session cookies, which are deleted as soon as you close your browser and temporary / permanent cookies, which are stored for a longer period or for an unlimited period on your data storage device. This storage helps us to fashion our website and our offers to you accordingly, and facilitates the use for you, for example by saving certain entries to avoid you having to repeat them. In this respect, cookies help to make your visit on Up2Europe easier, more enjoyable and more worthwhile. Cookies are alphanumeric information files which your browser automatically saves to the hard drive of your computer whenever you visit our website. You may also configure your browser so that a cookie will only be saved with your permission. Usually, the help function in the menu bar of your browser will tell you how to reject new cookies and disable previously received cookies. Please note that deactivating cookies may prevent you from using all functions of Up2Europe. The Up2Europe online portal is using a cookie technology to collect data to optimize offers and advertisements. The data will be anonymized and not used to identify you in person. This data will also not be merged or connected to saved personal data. With the help of the anonymized data we can present offers, services and advertisements that are of interest to you. Up2Europe uses re-targeting technology. This technology enables us to address advertisements to Up2Europe users also on our partner websites. We are convinced that personalized advertisements are more interesting to our users than unrelated advertisements. For displaying advertisements, Up2Europe is using a cookie technology and analysis of the previous user behavior. The used data is anonymized and never be combined with personal data. At no time will your personal data be stored. By using the Up2Europe online portal the user agrees that cookies can be used to collect, save and use anonymized data. The user also agrees on storing data in a cookie also after leaving the browser and when the user returns. The user can rescind this agreement at any time by changing browser settings and deactivating the usage of cookies. In order to constantly enhance and optimise our offer, we use so-called tracking-technologies. For this purpose we use the services of Google Analytics. This website uses Google Analytics, a web analysis service by Google Inc., 1600 Amphitheatre Parkway, Mountain View, CA 94043, United States (“Google”). Google Analytics uses so-called „cookies“, text files which are saved on your computer, and enable an analysis of the use of the website by yourself. The information regarding your use of the website generated by the cookie are, as a rule, transferred to a Google server in the USA and stored there. However, we have installed an IP-anonymisation tool on our website, thanks to which Google will previously shorten your IP address within member states of the European Union and other states which adhere to the relevant contract. Only in exceptional situations will the full IP address be transferred to a Google server in the USA and shortened there. 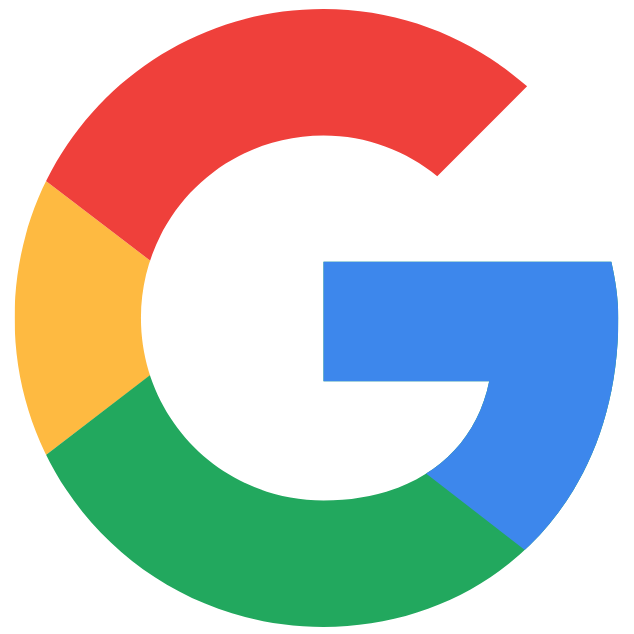 By order of the operator of this website, Google will use this information to evaluate your use of the website, to compile reports concerning the website activities and to effect further services for the website operator related to the website and internet use. According to the declaration by Google, the IP address submitted by your browser within the context of Google Analytics will not be combined with other Google data. You may prevent the storage of cookies with the relevant setting of your browser software; however doing this may possibly prevent you from using all website functions to their full extent. Furthermore, you can prevent the acquisition and the processing by Google of the information concerning your use of the website (incl. your IP address) generated by the cookie by downloading and installing the browser plug-in available under following link: [http://tools.google.com/dlpage/gaoptout?hl=en]. Further information to this matter is available under http://www.google.com/intl/de/analytics/privacyoverview.html. You may request information regarding and the modification of your personal data saved by us at any time, or view and modify the data in your public profile by logging in to the online platform. Your data will be deleted upon termination of the contract.